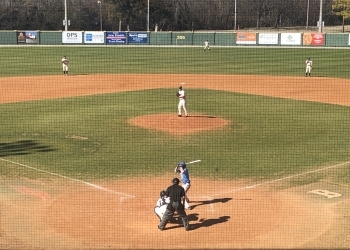 Oklahoma Wesleyan split a midweek road series against College of the Ozarks after a convincing 13-7 victory on Wednesday. The Eagles dropped Tuesday’s contest 6-4. OKWU has won just two of its last four games after winning 14 consecutive prior to that. On the heels of being named Kansas Collegiate Athletic Conference Offensive Player of the Week, Austin Sojka continues to put up impressive numbers at the plate. Sojka posted seven hits combined between the two games this week. Sojka’s .576 batting average is the top in the NAIA. Starting pitching wasn’t stellar for the Eagles in the two-game set. However, the bullpen stepped up as it logged 6 2/3 innings while giving up just two runs. Landon Williams appeared in both games. OKWU stays on the road with a three-game set in Lindsborg, Kansas against Bethany College slated to begin on Thursday.